It's hard to drag yourself away from New York City. Between the lights of Times Square, the Brooklyn bars, or the hidden gem restaurants scattered throughout the boroughs, there's plenty to keep you occupied in the city. But if you're a return visitor to the Big Apple and are keen to see what's beyond the city, then read on. These are our suggestions for the best day trips from New York City. Philly's little more than an hour or so away from Manhattan's Penn Station by Amtrak, making it doable as a day trip. Begin your day with a visit to Independence Hall. There, the Founding Fathers drafted and signed the Declaration of Independence in 1776 and the constitution a few years after that. Next up, tick off the iconic Liberty Bell before heading over to America's oldest farmers' market, Reading Terminal Market, to refuel. While away the afternoon at the Franklin Institute, one of the country's best science museums. 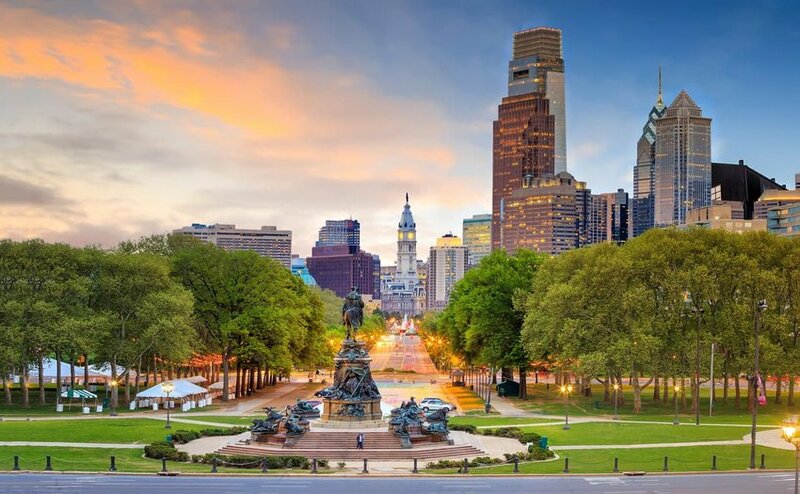 There's just time to run up Rocky’s steps and to grab a Philly cheesesteak before boarding your train back to New York. A visit to the Hamptons is a bit ambitious if you only have a day to spare, so try the next best thing and visit Fire Island instead. Though Brooklyn boasts Coney Island and Queens weighs in with The Rockaways, it's hard to argue with the 26 miles of federally-protected dunes and beaches that comprise the Fire Island National Seashore. 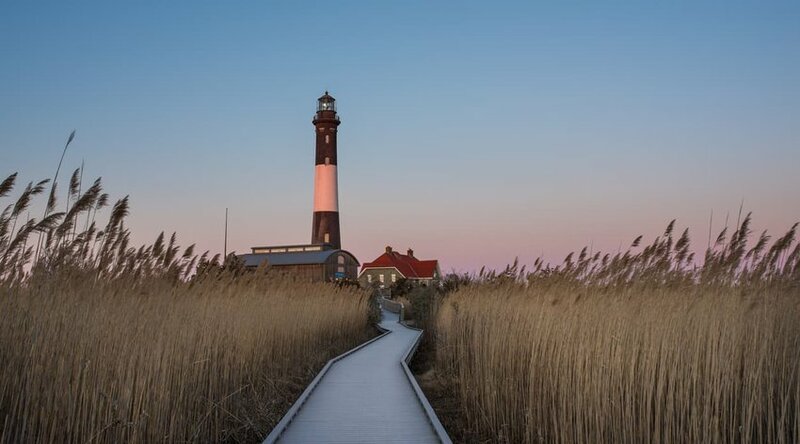 Highlights include the boardwalk trail through the area known as Sunken Forest and ascending the heritage Fire Island Lighthouse, dating from 1858, at the far end of Robert Moses State Park. Ferries access car-free Fire Island from three Long Island towns: Bay Shore, Patchogue, and Sayville. Catch the LIRR out of New York City to connect. Easily accessible via Metro North's New Haven commuter route, the genteel town of Old Greenwich has one of Connecticut's prettiest main streets. The Old Greenwich Railroad Station was built in 1894 and added to the National Register of Historic Places in 1989. Grab the makings of a picnic and a coffee to go from Sweet Pea's Baking Company, which is worth the ride from New York City in itself. Hike to the town's best beach, a long narrow strip of sand extending from the southwest end of the neighborhood. 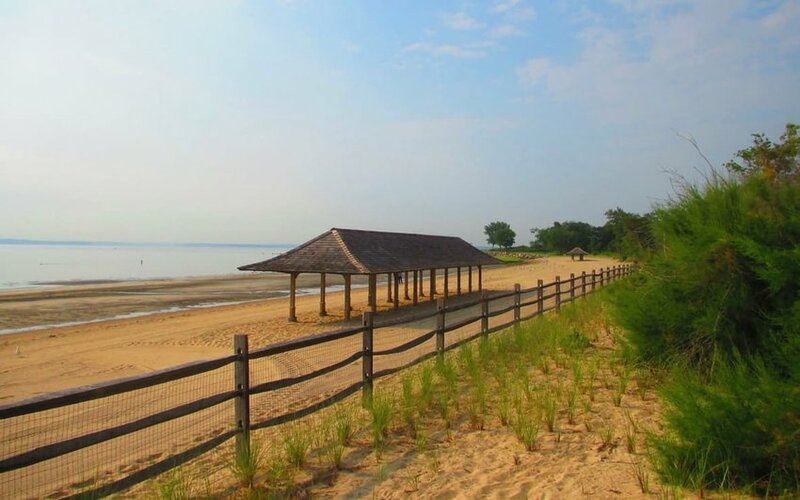 Officially it’s called Greenwich Point Park, but some locals still refer to it as Tod’s Point after a banker who once owned an estate there. Hop on the Metro North Hudson Line and you’re spoiled for choice when it comes to day trips out of the Big Apple. 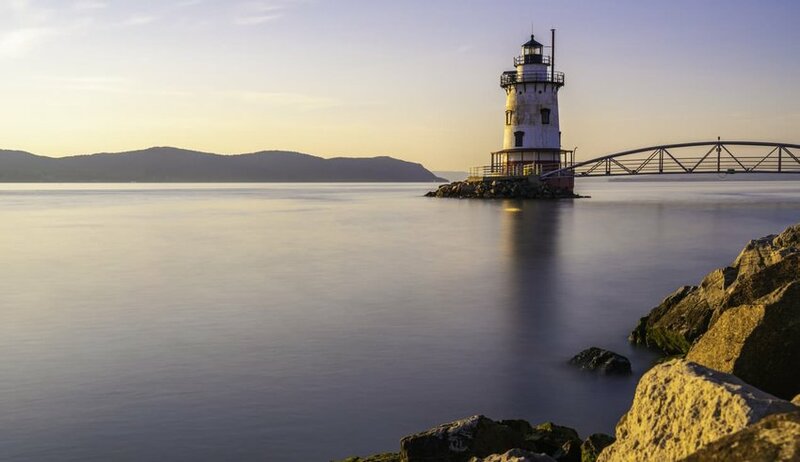 Tarrytown’s packed full of boutiques and eateries worthy of a visit by themselves, but the big draw is the connection with author Washington Irving. He wrote the horror story “The Legend of Sleepy Hollow” in 1820 while living in Britain, perhaps homesick for a locale he’d known as a child. In any case, Irving returned to live in Tarrytown later in life. Nearby Sleepy Hollow is also where you’ll find the Rockefeller estate Kykuit, a fifteen-minute walk from Tarrytown’s station. Its architecture is divine, the gardens exquisite and the art collection impressive, but it’s the view over the Hudson River that wins me over. Edison, New Jersey takes its name from its most famous former inhabitant: Thomas Edison. Located in Edison State Park, an hour by train from Penn Station, the Menlo Park Museum is a memorial to the talented inventor. Edison came here to work in 1876. 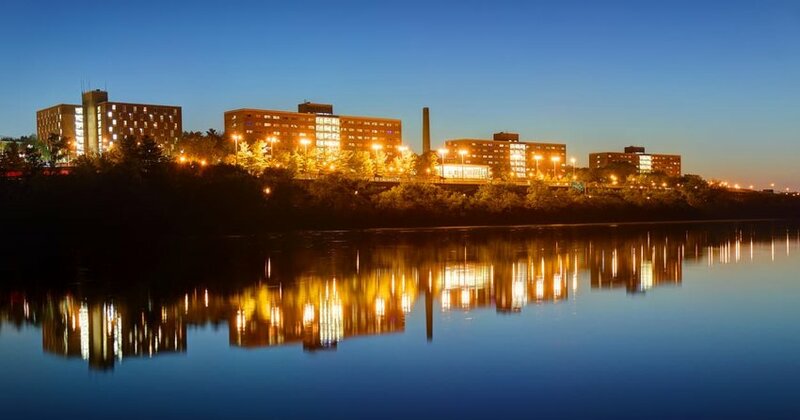 He and his staff successfully worked on over four hundred inventions in what would fondly be nicknamed the Invention Factory and it's because of this the town is known today as the Birthplace of Recorded Sound. Though many of the historic buildings are long gone, the Edison Memorial Tower was recently restored. The excellent museum recounts Edison’s story and showcases the phonograph and many of his famous light bulbs. Ten minutes away is Rutgers University, which is also worth a visit for its spectacular botanic gardens.